A lasting gift to The People's Cathedral. A gift can be an expression of your gratitude and thanksgiving towards God, and can help keep and transform the Cathedrals future. Guildford Cathedral - a warm-hearted community open to God, open to all. The Cathedral is usually open for visitors between 8am and 5.30pm every day. Our hearts go out to the people of Notre Dame and Paris. It is made more poignant at this time of Holy Week - one of the most important dates in our Christian calendar. We pray for them and will continue to offer our prayers up to them all this week. 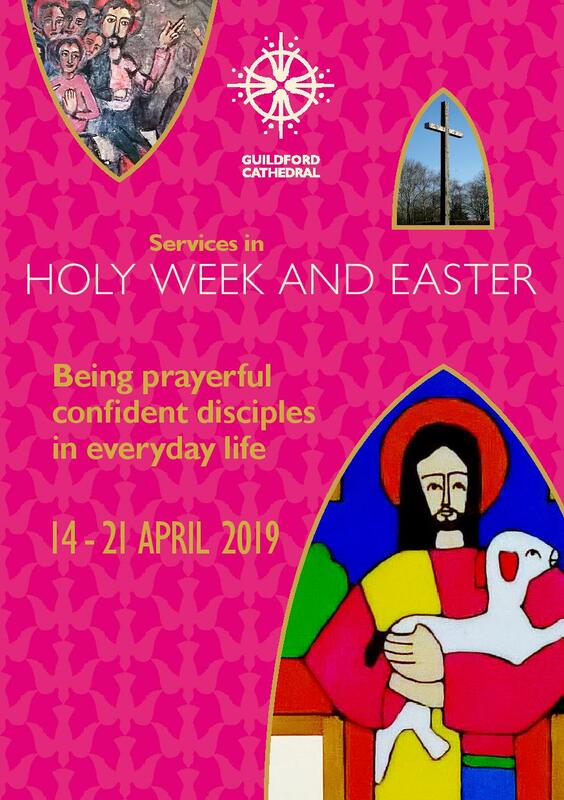 Please do take an opportunity to look at the various services that will be held in the Cathedral during Holy Week and Easter. Everyone is welcome to attend all our services. We're excited that Hannah Dienes-Williams (one of our girl choristers) and her friend, Max Todes (also 17 years old), are organising a performance of Haydn’s Creation on Saturday 27 April 2019. It is sure to be a memorable and exciting concert. Tickets can be obtained here. All the family are welcome to visit the Cathedral. There are tours available for adults, and also special interest tours for children of all ages - please ask the Guides for help with suitable activities for your child. Our services are listed here and everyone is welcome to attend them. The current What's On is now available, with details of activities happening March - April. We look forward to welcoming you to the Cathedral.